Later today of Nimitz-class carrier USS Ronald Reagan (CVN-76) will depart San Diego, Calif. for its new home in Yokosuka, Japan. Reagan’s California departure and its arrival in Japan as U.S. 7th Fleet’s forward deployed carrier is the second move in a three-way carrier swap that will move USS George Washington (CVN-73) to Newport News, Va. for a mid-life overhaul and change the homeport of USS Theodore Roosevelt (CVN-71) — currently in U.S. Central Command (CENTCOM) — from Naval Station Norfolk, Va. to San Diego. 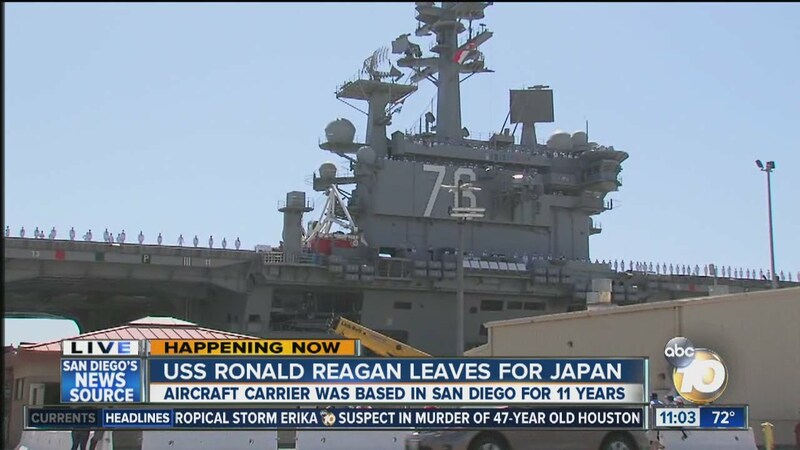 Reagan and Washington conducted a 10-day crew swap when Washington arrived in San Diego earlier in August after being in Japan since 2008 as the U.S. forward deployed carrier.